Size: 13, 10, 8 and 6 Inch cakes. Summary: Each tier was individually covered with white fondant and the quilting effect placed on each tier. Each “Diamond” was measured and the same measurements used on each tier to ensure quilting was the same spacing for each level. 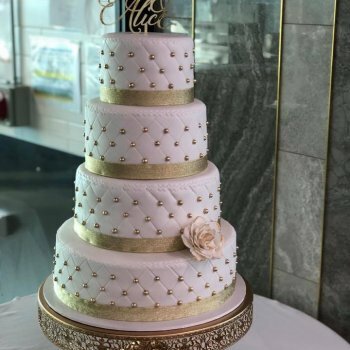 At the crossover point of each diamond, gold pearls were placed, and gold ribbon used to tie the entire cake together. A single gum paste rose was placed on the bottom tier, producing a very eye drawing feature of the cake. The wedding cake was then finished off with a custom made cake topper from Sandra Dillion Designs. 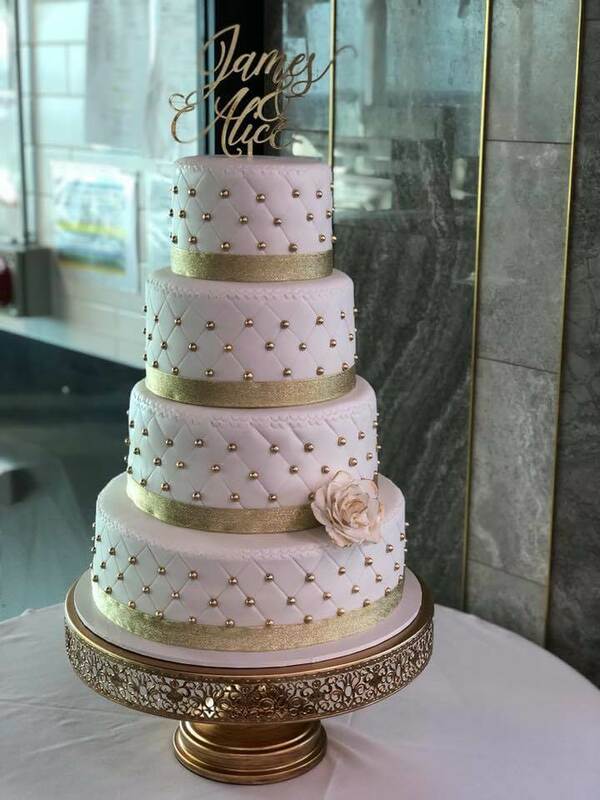 An absolutely stunning cake, displayed on our golden cake stand.